Today's HVAC systems are much more involved than they used to be. Complicated systems require HVAC technicians with appropriate skill and expertise. 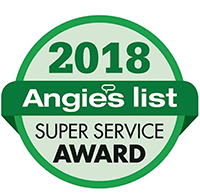 Based on customer satisfaction surveys, we understand that rising service rates mean that Central Heating and Air Conditioning Co. can only employ the most qualified technicians for heating and cooling services. Customers surveyed said that before they started using Central Heating and Air Conditioning, they tried various companies with slightly cheaper heating and cooling service rates, only to find that their time was wasted on wrong diagnosis, service and repair. The inconvenience invalidated the supposed savings — and even cost more, in some cases. At Central Heating & Air Conditioning Co., our ongoing mission is to provide top end service. We vow to have your HVAC problem diagnosed in the first half hour (in most cases 10 minutes!) of a service call, or you won't pay for extra time. Below are some typical rates for service and maintenance. Service Contracts available based on units in home - monthly payments available via credit card. Call for details. At Central Heating and Air Conditioning Co., it is our promise to customers that whether routine maintenance, repair or a diagnostic call is needed, Central is the only company you will ever need. Don't just take our word for it — see what some fellow homeowners had to say! Own a Home in the Cleveland Area? 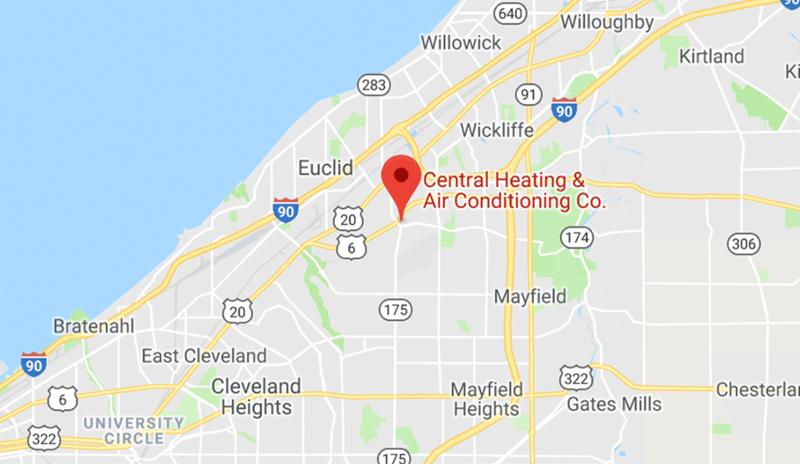 Central Heating and Air Conditioning Co. is a premier provider of heating and cooling services in Cleveland, Ohio. We're Trane Certified Comfort Specialists as well. Since 1988, we've helped thousands of homeowners throughout Cleveland, Ohio with their heating and cooling needs. We understand our area, climate and what your home needs. When you purchase the Central Heating and Air Conditioning Total Comfort package with a new 94% AFUE (Annual Fuel Usage Efficiency), we guarantee savings of 25%! Our Comfort Consultant will sit down with you in your home and listen to your concerns. This will help us to customize a system that meets your needs. Our Comfort Consultant will measure your home and do an ACCA manual J-load calculation. We will inspect your home's insulation and check for holes or gaps that cause excessive infiltration. We will inspect your windows and doors. We will analyze your duct system, register type and location of registers. We will measure the air flow at each register and compare it to the load calculation. We will analyze your indoor air quality to determine which indoor air quality products are right for you. The 25% fuel savings and comfort guarantee are valid only if you accept the items quoted in the "MUST DO" segment of our proposal. The "Must Do" items are corrections to the building or ductwork that are required to get your system performing properly. These items have a significant impact on fuel consumption, and, therefore, have to be brought up to a good condition for Central Heating and Air Conditioning Co. to be able to guarantee fuel savings. This offer does not apply to customers already having a furnace of 90% AFUE or greater. These furnaces are generally easy to recognize — they use plastic pipe for venting and are designed to be "condensing" (water forms in the furnace and flue and needs to go into a drain). Furnaces with metal vent pipes are almost all not 90% condensing furnaces, and would qualify for the 25% fuel savings guarantee. Customer submits gas consumption for the last 12-month period prior to installation of the new furnace and modifications. This information can be obtained from the gas company if the customer does not have the old gas bills. After the new equipment has been installed for 12 months, the savings in fuel consumption — measured in cubic feet used for 12 months — will be at least 25%. If the savings is less than 25% of the prior years' consumption in cubic feet, Central Heating and Air Conditioning will refund to the customer the difference in what was used and what it would have been with 25% reduction in cubic feet, paid at the rate the customer paid for the gas.